Flush mount jack and plate. Fits all standard modular phones. Installs in standard electrical box to replace or add a flush mount, modular wall jack.Tools required: flathead screwdriver, wire cutters. Clean cut line cord from wall box. Remove 1-1/2" of outer jacket and 1/2" of insulation from colored wire leads. Loosen terminal screws on jack. 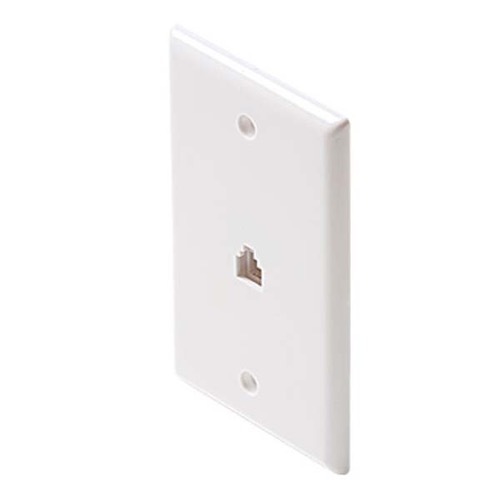 Install jack and plate into wall box with screws provided. Replace handset on disconnected phone.